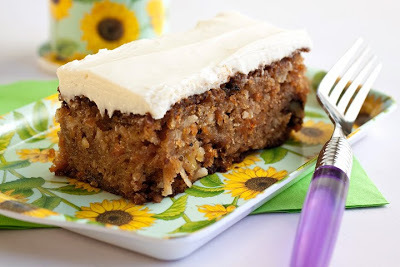 For years our family's favorite Easter dessert is the Coconut Pineapple Carrot Cake with Buttery Glaze and Cream Cheese Frosting. This recipe has been passed down through a few generations of our family. I can honestly say that I have never tasted a better carrot cake...ever! I think our grandma's knew how to do it right. I am getting ready to make this tonight to take to the family Easter egg hunt and thought I would share it again with you. We have had warm sunshine followed by blizzards of snow for the last couple of weeks. I don't know whether to get out sandals or boots in the morning, because it changes by the hour here in Utah....but we did get a little bit of green and a hit of a white bunny tail last week! So to welcome spring (and maybe coax it out a little sooner) my Spring Wool Sampler is on sale for the month of April! I hope your little flowers are popping up and the white snow is melting off fast. We are busy getting ready for the Easter Bunny and looking forward to a little more sunshine!